There are indisputable links between the Egyptian and Judaic royal lines, demonstrating that King David and King Solomon were actually kings of a unified Egypto-Judaic nation. 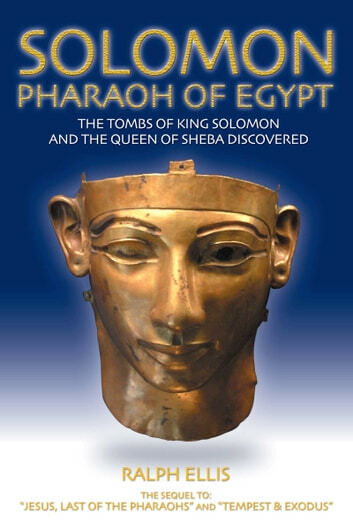 This is why there is no evidence for these monarchs in the archaeology of modern Israel; for the evidence, including the tombs, sarcophagi and death-masks of these famous monarchs, are actually located in the north eastern Nile Delta. The Queen of Sheba was also related to this royal line and, as befitting the great 'Queen of the South', her sarcophagus was discovered at Deir el Bahri in Luxor. The book also shows the location of King Solomon's Mines and the true historical identity of Hiram Abif, the hero of the Masonic 3rd degree.